Will International Ltd is committed to protecting the privacy and security of your personal/Company information. 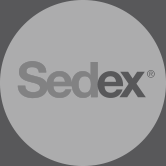 This privacy notice describes how we collect, use and store information about your company during and after your business relationship with us, in accordance with the General Data Protection Regulation (EU 2016/679) (GDPR).  Will International Ltd is a “data controller”. This means that we are responsible for deciding how we hold and use and store personal information about you/your company. We are required under the GDPR to notify you of the information contained in this privacy notice. It is important that you read this notice, together with any other privacy notice we may provide on specific occasions when we are collecting or processing personal/company information about you, so that you are aware of how and why we are using your personal/company information. Personal data, personal information, and company information means any information about an individual/company from which that person/company can be identified, whether directly or indirectly. It does not include data where the identity has been removed (anonymous data). There are also “special categories” of sensitive personal data which require a higher level of protection. We typically collect personal/company information about you through conversation, response to our promotional offers and web browsers. We may sometimes collect additional information from third parties. We need all the categories of information detailed in the list above primarily to allow us to perform our contract with you and to enable us to comply with legal and regulatory obligations. In some cases we may use your personal/company information to pursue legitimate interests of our own or those of third parties, provided your interests and fundamental rights do not override those interests. The situations in which we will process your personal/company information are listed below. If you fail to provide certain personal/company information when requested by us, we may not be able to perform the contract we have entered into with you (such as providing you with our services or guarantees), or we may be prevented from complying with our legal obligations (such as financial and tax reporting and insurance maintenance). You have a choice about whether or not you wish to receive information from us. If you do not want to receive direct marketing communications from us about the work we do and our exciting products and services, then you can select your choices by ticking the relevant boxes which will be sent to all our clients. We will not contact you for marketing purposes by email, phone or text message unless you have given your prior consent. We will not contact you for marketing purposes by post if you have indicated that you do not wish to be contacted. You can change your marketing preferences at any time by contacting us by email: sales@willinternational.co.uk or write to us at Will International, Unit 7, Foxhills Farm Business Centre, Longcross Road, Chertsey, Surrey, KT16 0DN. We will only use your personal/company information for the purposes for which we collected it, unless we reasonably consider that we need to use it for another reason and that reason is compatible with the original purpose. If we need to use your personal/company information for an unrelated purpose, we will notify you in writing and we will explain the legal basis which allows us to do so. Please note that we may process your personal/company information without your knowledge or consent, in compliance with the above rules, where this is required or permitted by law. We have put in place appropriate technical and security measures to protect the security of your personal/company information. Details of these measures are available upon request. Third parties will only process your personal/company information on our written instructions and where they have agreed to treat the information confidentially and to keep it secure as part of their contractual arrangement with us. We have put in place appropriate security measures to prevent your personal/company information from being accidentally lost, used or accessed in an unauthorised way, altered or disclosed. In addition, we limit access to your personal/company information to those employees, workers, agents, contractors and other third parties who have a business need to know. They will only process your personal/company information on our instructions and they are subject to a duty of confidentiality. Details of these measures are available upon request. We will only retain your personal/company information for as long as necessary to fulfil the purposes we collected it for, including for the purposes of satisfying any legal, accounting, or reporting requirements. Details of retention periods for different aspects of your personal/company information are available in our retention policy and are available upon request. To determine the appropriate retention period for personal/company data, we consider the amount, nature, and sensitivity of the personal/company data, the potential risk of harm from unauthorised use or disclosure of your personal/company data, the purposes for which we process your personal/company data and whether we can achieve those purposes through other means, and the applicable legal requirements. In some circumstances we may anonymise your personal/company information so that it can no longer be associated with you, in which case we may use such information without further notice to you. Once you are no longer a customer of the company we will retain and securely destroy your personal/company information in accordance with our data retention policy or current applicable laws and regulations. It is important that the personal/company information we hold about you is accurate and current. Please keep us informed if your personal/company information changes during your working relationship with us. Request access to your personal/company information (commonly known as a “data subject access request”). This enables you to receive a copy of the personal/company information we hold about you and to check that we are lawfully processing it. Request correction of the personal/company information that we hold about you. This enables you to have any incomplete or inaccurate information we hold about you corrected. Request erasure of your personal/company information. This enables you to ask us to delete or remove personal/company information where there is no good reason for us continuing to process it. You also have the right to ask us to delete or remove your personal/company information where you have exercised your right to object to processing (see below). Object to processing of your personal/company information where we are relying on a legitimate interest (or those of a third party) and there is something about your particular situation which makes you want to object to processing on this ground. Request the restriction of processing of your personal/company information. This enables you to ask us to suspend the processing of personal/company information about you, for example if you want us to establish its accuracy or the reason for processing it. If you want to review, verify, correct or request erasure of your personal/company information, object to the processing of your personal/company data, or request that we transfer a copy of your personal/company information to another party, please contact your Manager in writing. We may need to request specific information, such as a certified copy of your passport, from you to help us confirm your identity and ensure your right to access the information (or to exercise any of your other rights). This is another appropriate security measure to ensure that personal/company information is not disclosed to any person who has no right to receive it. In the limited circumstances where you may have provided your consent to the collection, processing and transfer of your personal/company information for a specific purpose, you have the right to withdraw your consent for that specific processing at any time. To withdraw your consent, please contact our Data Protection Officer in writing. Once we have received notification that you have withdrawn your consent, we will no longer process your information for the purpose or purposes you originally agreed to, unless we have another legitimate basis for doing so in law. We have appointed a data protection officer (DPO) to oversee compliance with this privacy notice. If you have any questions about this privacy notice or how we handle your personal information, please contact Edward Qu.